Lancashire Police are searching for Timothy Bolchover after an unmarked police car was rammed over the weekend. Police want to speak to Bolchover, 29, from Accrington, after the incident on Sunday. 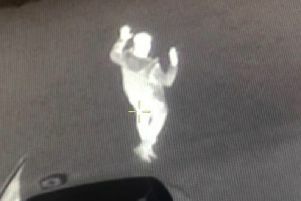 Officers want to speak to him after an unmarked police car was rammed on Sunday following a pursuit. They also want to speak to him in connection to a car containing a passenger and child being driven dangerously in Surrey on August 20 as well as a theft from a car on June 13. Bolchover is described as white, 5ft 9ins, of medium build with short dark hair and brown eyes. He has links to Accrington, Oswaldtwistle and Great Harwood. A police spokesman said: "He knows he is wanted and so our advice to him would be to attend his nearest police station before he makes matters worse for himself. Anyone with general information can call 101 quoting LC-20180909-1031. If you know of Bolchover’s location, please call 999 immediately." You can also contact independent charity Crimestoppers anonymously on 0800 555111.